Rehab is a place where addicts have a chance to get away from the destructive habits that they have developed to replace them with new, healthier habits. 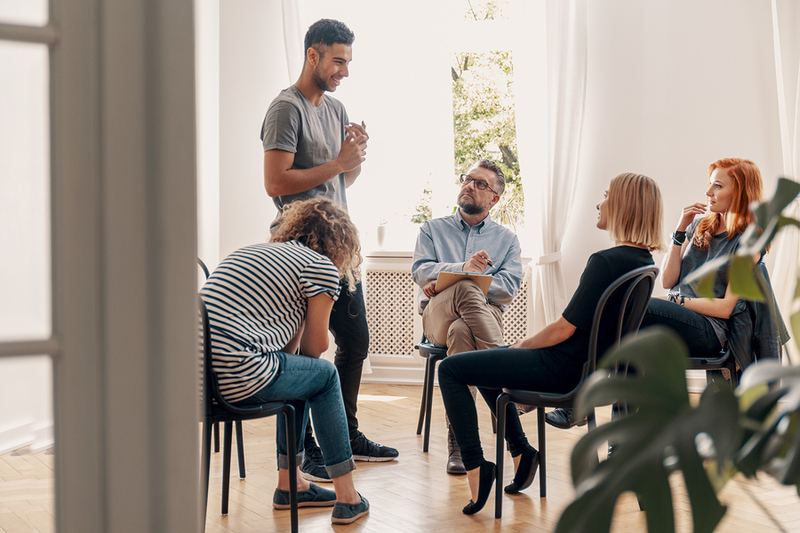 There are a myriad of different things that people learn in rehab because it is where they completely transform many aspects of their routine, their relationships with other people and their own mindset. Rehab provides patients with crucial skills that make their life less stressful and most importantly make it easier for them to remain sober. Making the decision to attend rehab is never easy because most people know that it will mean going through tremendous changes. Addicts often have a tendency to do things their own way and disregard others’ advice because they are primarily motivated by their physical dependency. Rehab means learning to adapt to make different choices and stop living a self-centered existence which allows you to pursue substance abuse above all other things. People struggling with addiction often lose a lot of their life skills that kept them in control. They need to get back on track and re-learn or even discover important skills for the first time that keep them healthy. Understanding the strategies and steps to being physically and mentally stable is a big part of the process of recovery. There are a variety of different skills that people learn in rehab that make them feel more confident and capable of staying abstinent. One of the first and most important strategies that people learn is to develop a set of healthy coping mechanisms. Addicts often don’t know how to cope with the issues they face in life and drinking or using drugs has become their only method of coping. Instead of abusing substances, patients in recovery need to find more constructive and positive ways to cope with stress, pain, depression, anxiety or daily frustrations. These issues are bound to come up on a regular basis and healthy coping mechanisms can help maintain a person’s emotional stability. The coping strategies that are effective for an addict can be very personal and are something that takes a lot of time to develop. Addicts often struggle with taking care of themselves physically and emotionally and this is another skill they must learn in rehab. Self-care can mean a number of different things but in recovery it is helpful to master good habits such as a healthy diet, regular exercise, plenty of sleep, and maintaining a daily schedule. These skills help improve the patient’s daily life so that they feel better overall and are less vulnerable to triggers. One of the most important things that people learn in rehab is how to interact with people socially and in intimate relationships. An addict often damages their relationships with family members, friends, and partners because of their behavior and lack of communication. Working on crucial communication skills can help in repairing some of the issues that led to distance and broken friendships. Even though you might learn a lot of new information in rehab, applying the skills you acquire is the only way to stay permanently sober. Remembering and using all the things you learn in recovery can help you achieve the kind of success that you want out of a rehab program. Avoiding relapse should be your first concern and many of the things you learn in rehab are designed to help prevent relapse. You can utilize coping mechanisms any time you experience a trigger that makes you feel driven to drink or use drugs again. Coping mechanisms like taking a walk, talking to a close friend, writing in a journal, meditating and other actions can help alleviate stress. Using these coping skills can minimize the impact of a trigger and prevent you from spiralling or backsliding into old patterns. Practicing self-care can help you take control of your life and not allow certain situations to make you feel overwhelmed. Self-care can mean having a better handle on your finances, working a regular job, staying healthy and avoiding situations that will lead to serious triggers. Maintaining your stability in life means balancing a number of different day to day realities so that you don’t lose control. Communication and social skills should be used on a regular basis to make sure that you don’t become too isolated from friends and family. Being connected to others is one of the most important factors in maintaining sobriety and avoiding relapse. People need to feel that they are part of a supportive community that cares about their well-being so that they don’t slip into bad habits. Rehab programs are created to teach patients how to cope with their lives and daily difficulties in more effective ways. Using these skills every day is the best approach to staying sober both during and after treatment.